Social media darling and tenacious entrepreneur Karen Waldrup returns to the nationally televised stage on Sunday, April 7. 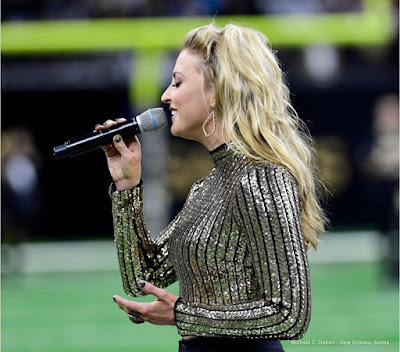 The country singer/songwriter, whose videos have been viewed over 250 million times, will perform the National Anthem on FS1/FOX Sports app to kick off the Monster Energy NASCAR Cup Series Food City 500 live at Bristol Motor Speedway at 1:55 pm Eastern. It’s always a pleasure for Waldrup to honor our great country by performing the anthem and Sunday will be no exception. Waldrup continues to grow her Waldrup Worldwide Family, currently over half a million strong, online with weekly new videos and creative social interactions. Catch her on the road this Spring/Summer to meet her in person.